Who: Physics, and physics related, post-graduate researchers. What: A 4-day residential school that explores the wide range of opportunities open to PhD physicists. Where: Herstmonceux Castle, East Sussex. This intensive school comprises a broad menu of workshops and challenges led by different employers designed to offer students an insight into opportunities beyond their PhD. A wide range of employers join the school to offer workshops designed to show what life in a given industry sector type is like and what kind of work is involved. Students choose to take four of these over two days. 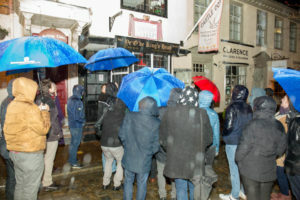 A consultancy challenge is run another day. 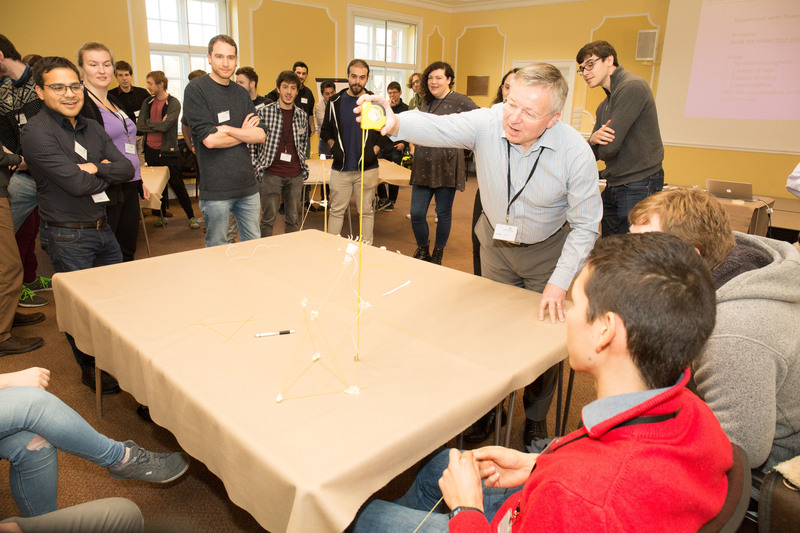 High-tech companies come with real science problems and invite students, working in teams, to create solutions using the skills they have learnt in their PhD. The whole event is threaded through with short sessions led by expert speakers looking at some of the issues that confront those working in science: Outreach, Impact, IPR, Ethics and the like. Employers participating in recent summer schools include: Airbus Defence and Space; AkzoNobel; Amec Foster Wheeler; AWE;Centre for Applied Science and Technology (Gov’t forensics); Centre for Integrated Photonics (Huawei); Chomko & Rosier; Culham Centre for Fusion Energy; Dstl, Fourth State Medicine; IBM; InSync Technology; Magnox; the Met Office; MR Solutions; Observatory Science Centre; Oxford Instruments; Petroleum Geo-services; RBA Acoustics; Rolls Royce; Starcount; Surrey Satellite Technology Ltd; and WP Thompson. Your travel expenses, meals and accommodation are covered by SEPnet. You will not incur any personal costs for attending this workshop. For residential events SEPnet charges your Department £100. 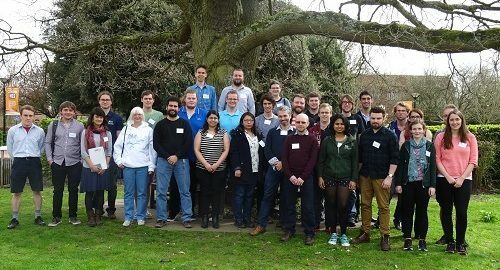 Student-led conference 21-23 March 2018 – A great success! From Micrometres to Megaparsecs” organised by Justyn Campbell-White from the University of Kent. 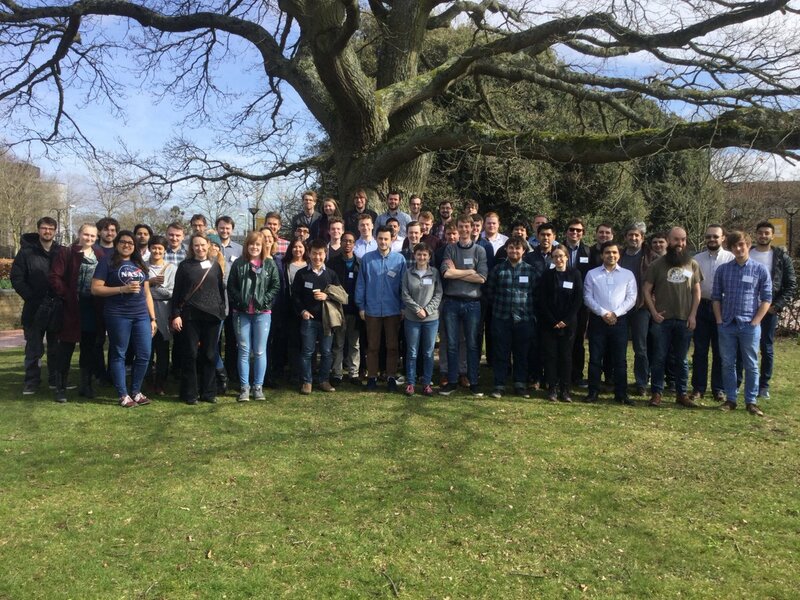 “When I was presented with the opportunity to organise my own conference in high energy physics, I was very keen to pursue it! I was not exactly sure what would be required, but I thought it would be a great occasion to participate in the other side of conferences than just attending (many of) them! In practise, the vast majority of the work was undertaken by the fantastic Cristobel Soares-Smith, GRADnet Administrator, who was in charge of all of the practical aspects which allowed me to focus on the scientific programme. Me (and my co-organiser on the astronomy department) Justyn Campbell-White were the lead organisers of our respective conferences, but not without help from many other students! I would like to personally thank Sonali Mohapatra, Jack Setford and Alex Titterton for their help in finding scientific speakers and shaping the conference to what it was. There were many unexpected challenges, including dealing with last-minute changes to the programme, and trying to satisfy all participants from a wide variety of fields; but I think this was a success. Many thanks to the invited speakers who did an excellent job of providing a general introduction to their respective topics, and to the students who did a wonderful job explaining their current research. 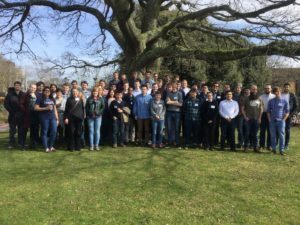 See “From Micrometres to Megaparsecs” conference Twitter feed here. 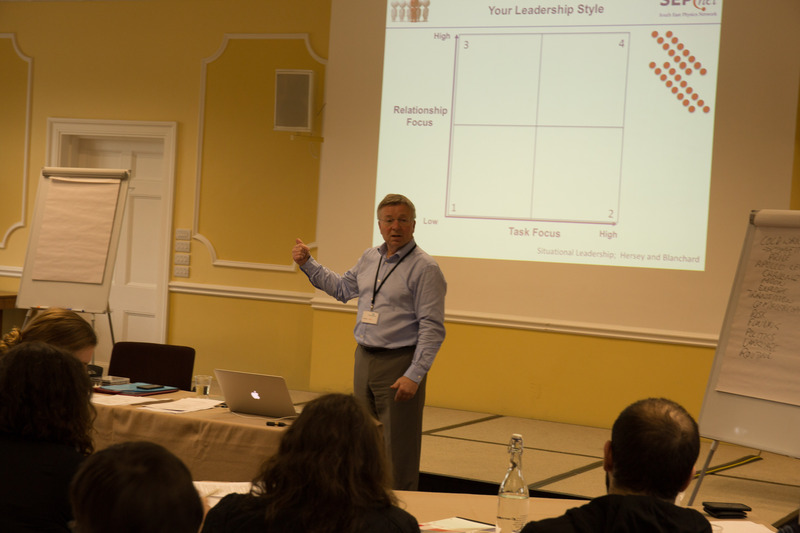 This year’s Winter School, entitled “Building your leadership potential”, took place on the 14-16 February 2018 at Cumberland Lodge. 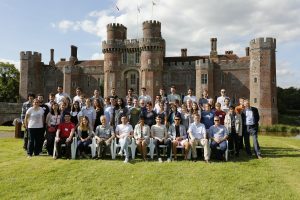 The former royal residence set in the heart of Windsor Great Park was host to 25 postgraduate students who enjoyed being immersed in its fascinating history dating back to the 17th century. Thank you to Alys Brett Data and Coding Team Leader, Culham Centre for Fusion Energy, Jan-Theodoor Janssen, Head of Science for SI Metrology, National Physical Laboratory and John Wells, VP Engineering, Leonardo Air and Space Systems Division, who participated in the employer panel session. 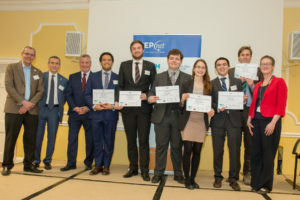 Students also had an opportunity to hear from the finalists of the Enterprising Ideas Competition during a “Physics Means Business” networking evening. 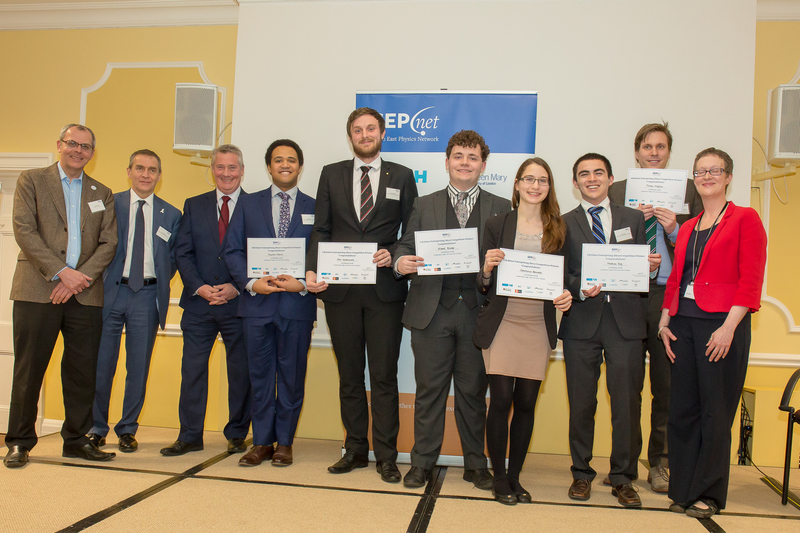 Congratulations to the winners, Royal Holloway University of London who had a team of both undergraduate and postgraduates. Thank you to Elaine Hickmott, Elaine Hickmott Enterprises for leading the entrepreneurship training and running the 2017-18 competition. Thank you to Trevor Long, Trevor Long Consultancy who ran the workshop, Veronica Benson, SEPnet Employer Liaison Director and Kay Pearson, Employer Engagement Advisor, for offering feedback and finally Cristobel Soares-Smith, Graduate Network Administrator for organising the event. What: A 2.5-day residential workshop that describes the background science of strongly correlated systems and experiments to probe them. 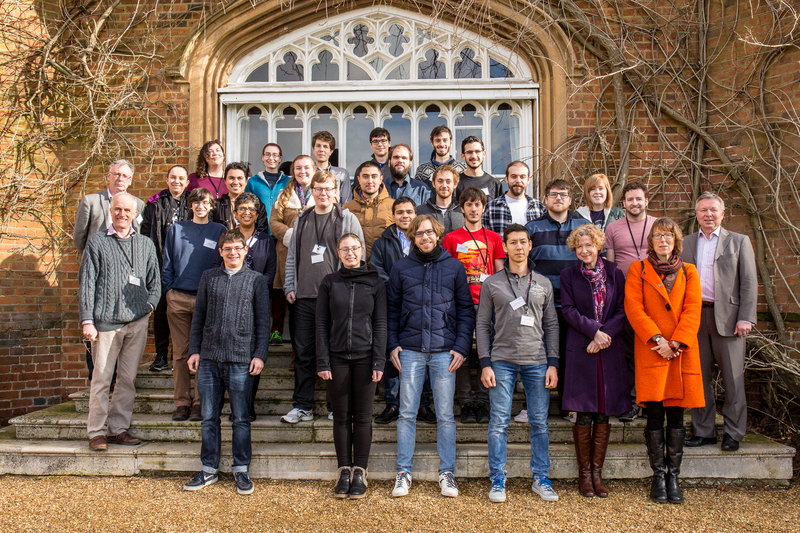 Who: 1st and 2nd Year Physics postgraduate researchers working in condensed matter physics. No two researchers would ever completely agree on the definition of a strongly correlated system; however they may very roughly be described as materials where the correlations between electrons induced by interactions make the behaviour of the material ‘interesting’. This interactive two-and-a-half day residential workshop is designed for PhD students who would benefit from learning more about this subject. The course will consist of three short lecture courses of three lectures each, covering both the theoretical concepts necessary to understand strongly correlated systems, as well as how one would probe them experimentally. The course will be self-contained, assuming only a knowledge of quantum mechanics and undergraduate level solid state physics. It should therefore be beneficial to students working on both theoretical and/or experimental projects. In addition to the lectures, the workshop will have tutorials that pose and discuss problems related to the lectures. This will also offer an opportunity to ask many questions and continue further discussions with all of the lecturers. There will also be a poster session, some evening seminars, and a skills session focussing on scientific communication. Posters to be presented must be size A1 portrait. Travel expenses, meals and accommodation are covered by SEPnet. Registration deadline 9 March 2018.